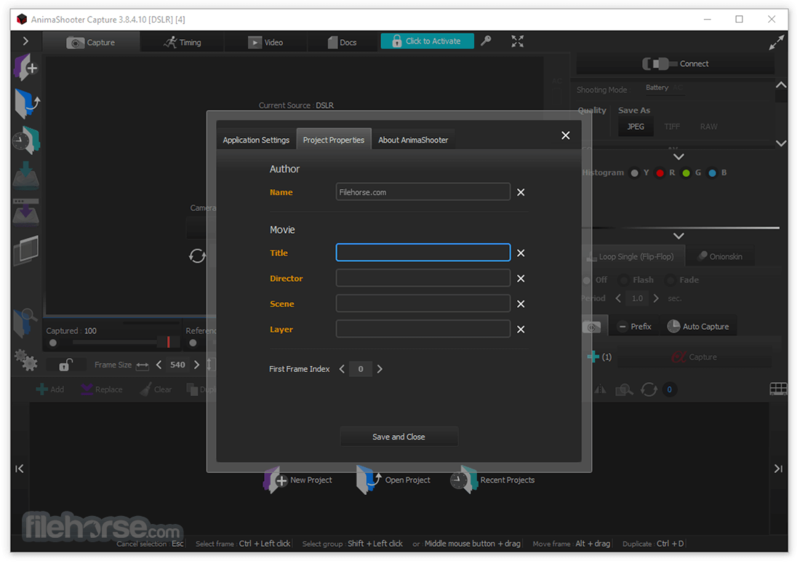 AnimaShooter Capture is a user-friendly stop-motion animation software with support for Canon DSLR cameras. Easy to learn, easy to use. 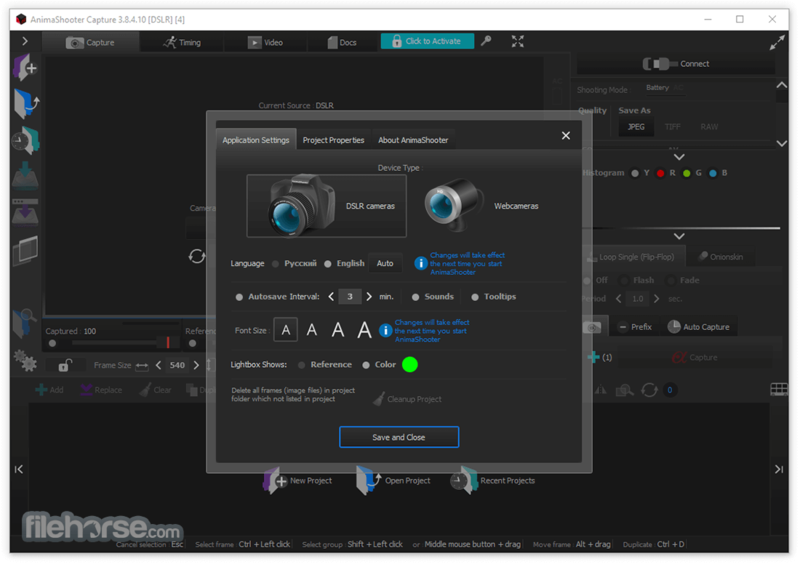 AnimaShooter Capture supports any Canon digital reflex camera which is able to be remotely controlled from PC and has Live View feature. 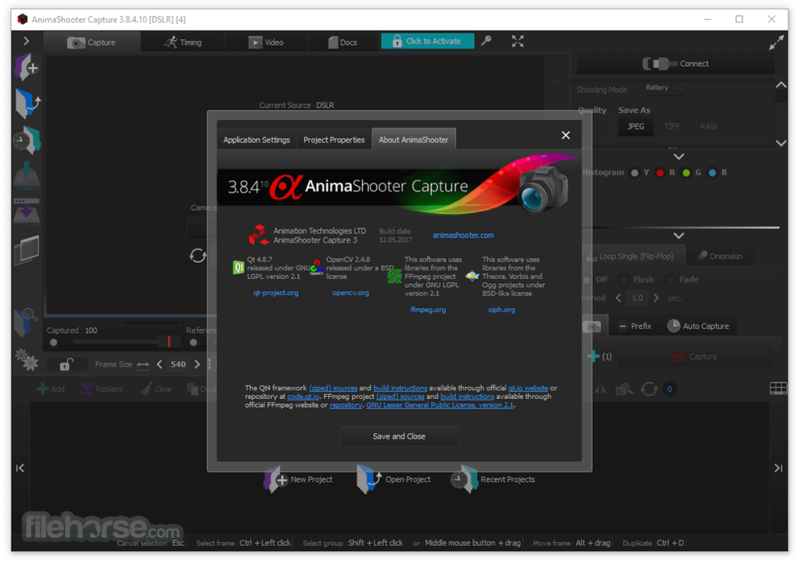 Remember to test your camera with AnimaShooter Capture for Windows PC (in trial mode) to ensure compatibility. The following Canon DSLR cameras are supported: EOS-1D C / EOS 6D / EOS M / EOS M2 / EOS 7D Mark II EOS-1D X / 1D Mark III / 1Ds Mark III / 1D Mark IV EOS 40D / 50D / 5D Mark II / 5D Mark III / 7D / 60D / 60Da / 70D EOS Rebel XSi / 450D EOS Rebel XS / 1000D EOS Rebel T1i / 500D EOS Rebel T2i / 550D EOS Rebel T3i / 600D EOS Rebel T4i / 650D EOS Rebel T3 / 1100D EOS Rebel T5i / 700D, EOS Rebel SL1 / 100D EOS Rebel T5 / 1200D / Hi. 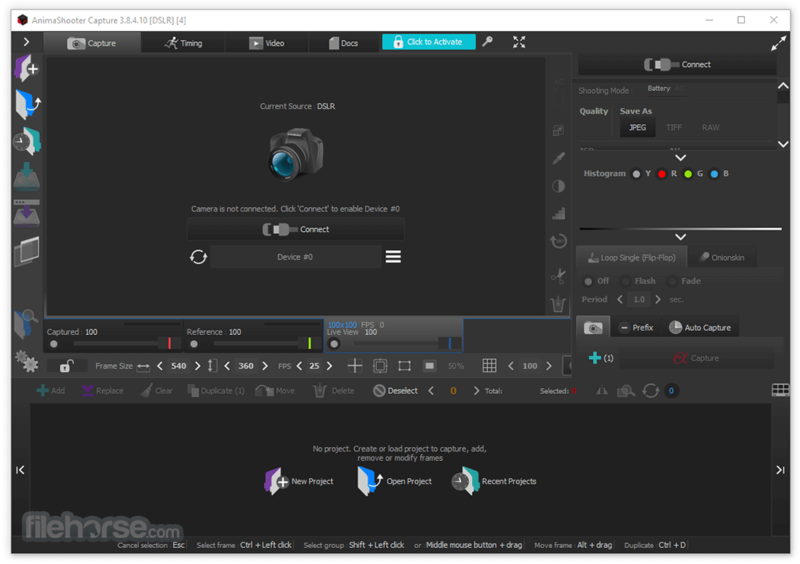 Any USB web-camera/USB HD web-camera or camcorder with Firewire connection. Resolution up to WQUXGA (3840x2400).